This book adopts a fresh approach to personal and professional development in healthcare. Highly recommended for all healthcare educators and students. A concise introduction to the contexts, theories and practicalities of health provision in a globalised world. The third edition of this highly-regarded text has been revised and updated throughout. It introduces readers to the importance of the concepts of power and empowerment; provides a methodology to plan, implement and evaluate public health programmes; and investigates the implications of empowerment on public health practice. A down-to-earth introduction to the sociology of health and already widely used on undergraduate courses in Health and Nursing. Provides great coverage of the key topics with helpful examples, without being too full of jargon. The Black report argues that those at the bottom of the social scale have much poorer health and quality of life than those at the top. Gender, area of residence and ethnic origin also have a deep impact. This book looks at this report and examines the inequalities in the British Health system. Explains about priority setting. This work, a useful read for general readers as well as specialists, is written by people involved in priority setting, either as decision makers or researchers. It shows how different countries and disciplines are approach the allocation of resources between competing claims. Focuses on the importance of business awareness for health care professionals. This title provides an overview of key aspects of business planning, financial and personnel issues. It covers the policy context, operational aspects of delivering health care and quality as a management agenda in the context of clinical governance. This book provides a timely guide to enabling patient and carer participation in nursing care, made relevant for nursing students. Provides information about twelve key topics in public health, such as diabetes, cancer, smoking and teenage pregnancy, and how prevention and health promotion should be tackled at community and one-to-one levels. The twelve topics are the 'must-dos' of public health action. Nursing has a crucial role to play in the necessary review of today's health care systems. This book explores the ways in which nurses can engage with and influence the formation of health policy now, and for the future. Focuses on 50 key issues across the public health discipline. Readers can dip into the book to find a snapshot of the definition of the concept, or read it through like a regular textbook from start to finish. `This is an excellent textbook for which there is currently a niche in the market. [It] will be invaluable to students of health policy, health studies and health service research' - Professor Michael Calnan, University of Bristol Written by leading academics in their field this book provides a clear and considered overview of the politics of health care in Britain. Bringing together a wide range of material on both past events and recent developments, the chapters cover issues such as the politics of health professionalism, clinical knowledge and organisation and management. Each chapter offers a a unique combination of theory, historical detail and analysis of contemporary events. It features case studies to illustrate how policy has evolved and developed in recent years, and the implications these changes have for practice. 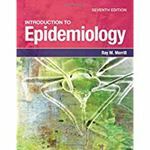 Written in an accessible style the chapters also include comprehensive introductions, summaries and further reading sections. Since 1860, life expectancies and standards of general health have improved dramatically in industrialized societies. This work sets out to examine the relationship between health and medicine and how it has changed in Britain over a period of 150 years. This major textbook will take a fresh look at professions and professionalism - what these terms mean and what they need to mean in the future in the health and social care field. This a course text for The Open University course Critical Practice in Health and Social Care (K302). While there may be consensus on the broader issues of the core objectives of the health care system, expectations differ between EU countries, and European national policy-makers. This book seeks firstly to assess the impact of the enlargement process and then to analyse the challenges that lie ahead in the field of health and health policy. This book addresses the gap of areas of the central role the purchasing function plays in many health system reforms and provides an up-to-date analysis of the evidence on different approaches to purchasing and support for policy-makers and practitioners as they formulate purchasing strategies. This edition examines the economics of health care systems in a non-technical manner. It is written in a highly accessible manner for economists and non-economists alike. It is very timely and includes the latest evidence of health care reforms and their implications from a number of countries with different systems. This book provides a multidisciplinary window onto environmental policy and its formulation., looking at the prominent position environmental health policy occupies, on both local and global agendas as old and new challenges confront the human race. Looking at the spread of evidence-based policy making across the Western world, this book examines the methodological assumptions that lie behind this drive for government departments, academic research projects and NGOs to adopt an 'evidence-based' approach, when so little has been done to ask what works in an evidence-based context. What, exactly, is promoting public health activity? How should we promote public health? Whose values are most important? Which theories can help inform health promoting practice? This text addresses these questions, exploring the key concepts, debates and issues involved in multi-disciplinary public health. Focuses on the key public health issues identified by the UK government priorities. This title provides information on the priority areas of: obesity; smoking; alcohol misuse; sexual health; mental health; diabetes; non-communicable diseases; exercise; drug misuse; and health inequalities. Throughout this book, the authors analyse and reflect upon the influence of history, research and procedures upon contemporary public health practice. The text explores the debates surrounding the meaning of public health and looks at the policy changes that are reshaping its context. Fundamentals of Health Promotion for Nurses is a concise, accessible introduction to health promotion and public health for pre-registration nursing students and newly qualified nurses. Offers an exploration of the history of public health and the development of health services over the centuries. This book surveys the rise and redefinition of public health since the sanitary revolution of the mid-nineteenth century, assessing the reforms in the post World War II years and the coming of welfare states. This is a public health text aimed at bridging the gap between current public health values and skills and those required to tackle future challenges. This book discusses the core issues of modern public health, its themes, foundations and evolution and the impact of globalisation. Healthcare ethics has been dominated by the voices of professionals. This book listens to the voices of patients and argues that patients' perceptions should form the core ethical obligations and insights for "good care." This is the ethical meaning of "patient-centered care." The last ten years have seen tremendous advances in the theoretical and practice base of social marketing globally. This book provides up to date thinking on social marketing theory and practice, introducing new conceptual models and approaches to influencing behaviour to promote health and prevent disease. An even-handed and thorough empirical analysis of one of the most pressing topics in world affairs, Governing Global Health will reshape our understanding of how organizations can more effectively prevent the spread of communicable diseases like AIDS and reduce pervasive chronic health problems like malnutrition. Fully revised and updated for the third edition, the Oxford Handbook of Public Heath Practice remains the first resort for all those working in this broad field. Unlike most other books written on evidence-based practice, this book questions whether this method always leads to the best practice possible and analyses and critiques the approach in a reflective manner. Derek Fraser's book has established itself as a classic text on the history of social policy and social ideas in Britain since the Industrial Revolution. This fourth edition features a revised Introduction, incorporates the latest research and extends the coverage of the final chapter, bringing the story right up to the present day. Provides an analysis of both health and social care, for social policy students, for students on professional training courses and for practitioners. This book features a focus on both health and social care in a time of increasing inter-agency working; combined summary of policy and practice dilemmas with theoretical frameworks; and more. The right of minority groups to define their culture and identity in their own terms is the central theme of this book. O'Hagan argues that a comprehensive definition of culture, and an awareness of all the issues involved, may enable practitioners to fulfil their statutory obligations more effectively. This comprehensive and comparative study of health service change focuses on the influence of health professionals on the process and shape of change. The book examines the development and implementation of national health system reorganizations in the UK, Sweden and the Netherlands. Lifestyle Management in Health and Social Care is a one-stop handbook for health and social care professionals that assists in the provision of a wide range of professional lifestyle advice, treatment, or condition specific therapy. It is both evidence-based and highly practical. In contemporary manifestations of public health rituals and events, people are being increasingly united around what they hold in common - their material being and humanity. As a cult of humanity, public health provides a moral force in society that replaces 'traditional' religions in times of great diversity or heterogeneity of peoples. Kingsley Norton takes the reader, step-by-step, through the entire process of setting up new services within the National Health Service. His wealth of hands-on experience and practical advice makes this book essential reading for anyone interested in management and the NHS or public services and attempting to innovate.